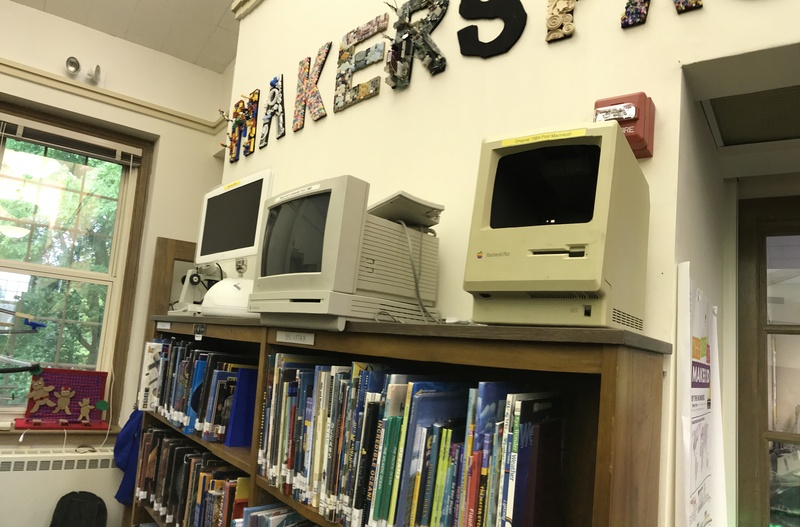 I went to Fox Meadow School and I had my interview and site visit with Peter Mckenna the computer teacher. After I asked him my interview questions we looked at a bunch of old computers. 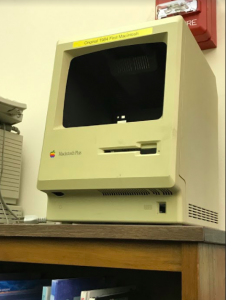 I saw the Original Macintosh, the iMac G4, and a Macintosh LC II. We started up The Macintosh LC II. It took around two minutes to start up and the sequence was really interesting. First, it turned a light shade of blue and lines were running across it. A second later, it changed to a slightly darker shade of blue. 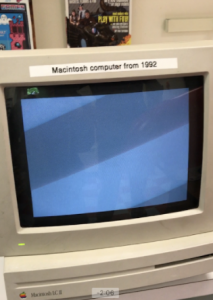 Next, the finder icon appeared and it said “iMac OS” then a loading bar appeared at the bottom and it took about a minute to load. After that, the cursor appeared. Sadly we didn’t have a mouse so it just stayed there. Finally, it was done loading and it was ready to be used. I thought that that was important because that was the start-up process of a computer from 1998. To start up our newer computers you just turn it on and within a minute you are up and running. I think that it is incredible how computers evolved. Here are some old computers that I saw.